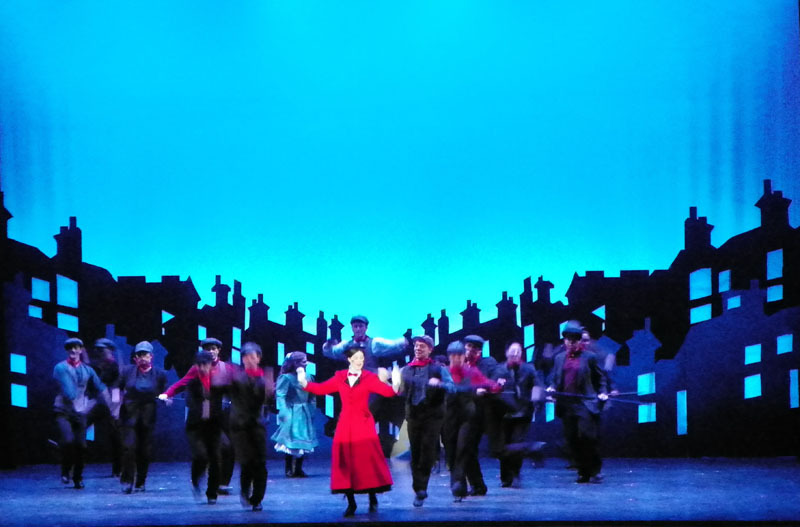 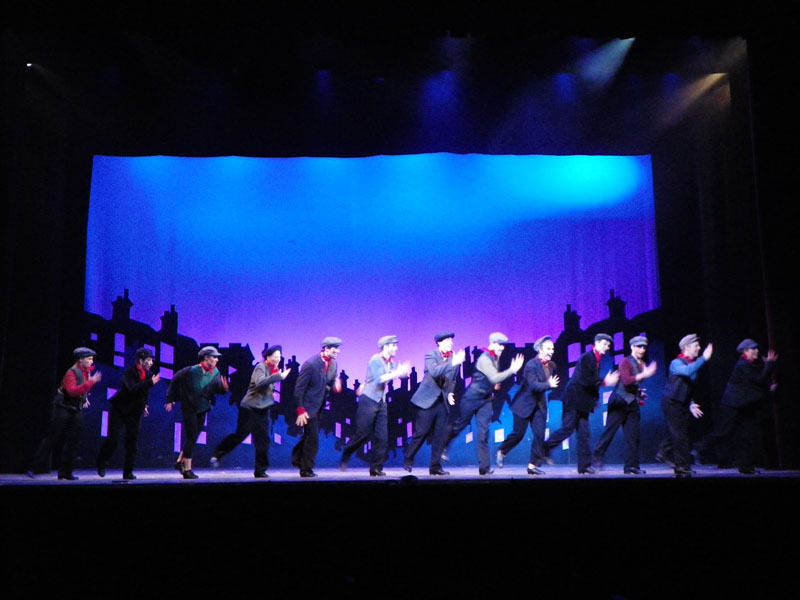 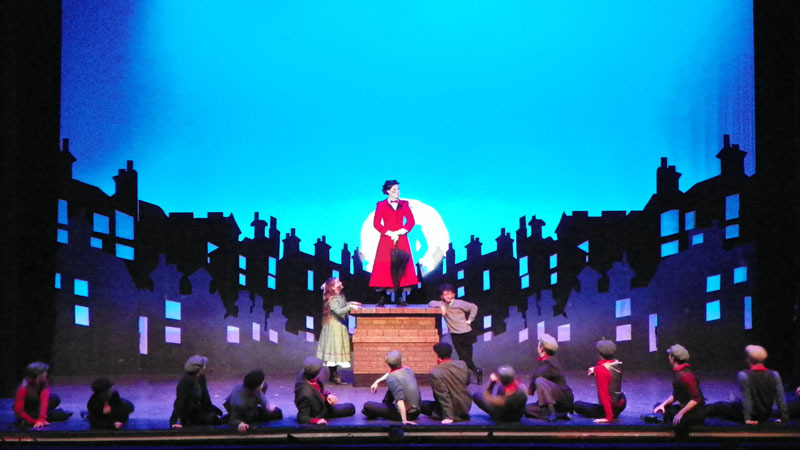 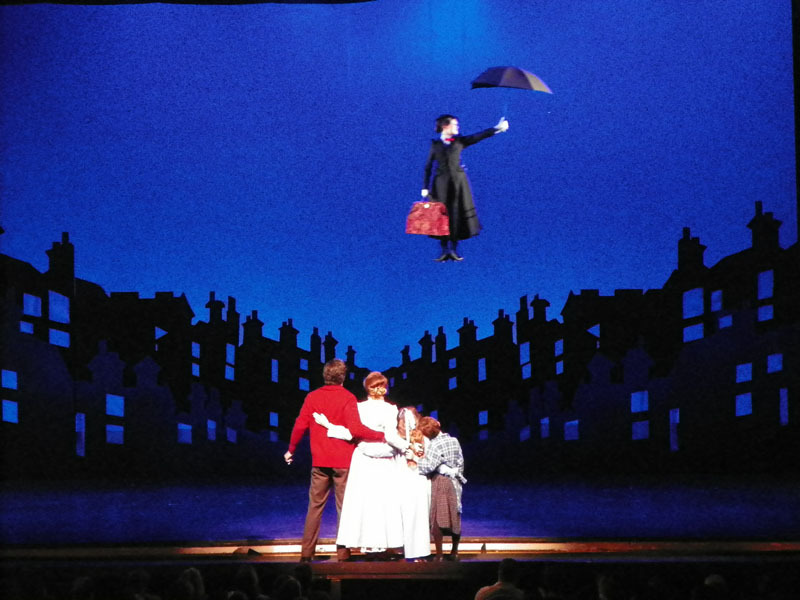 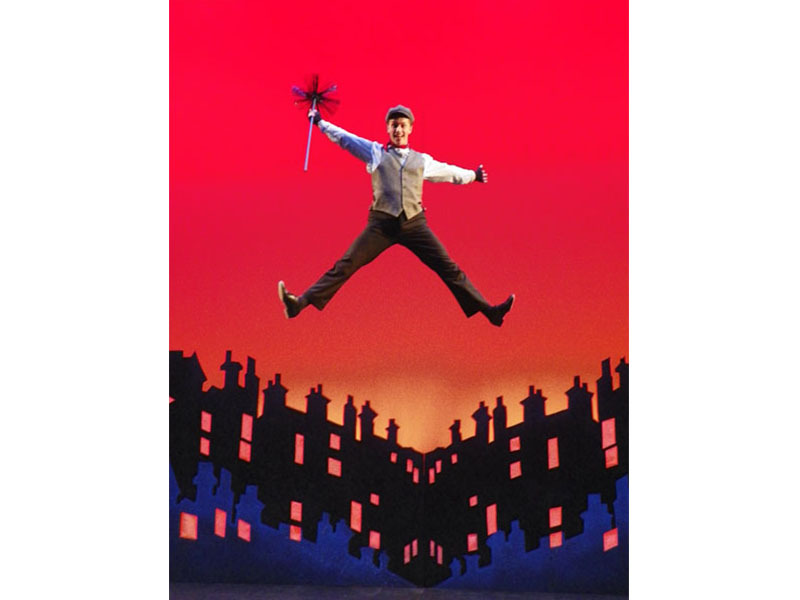 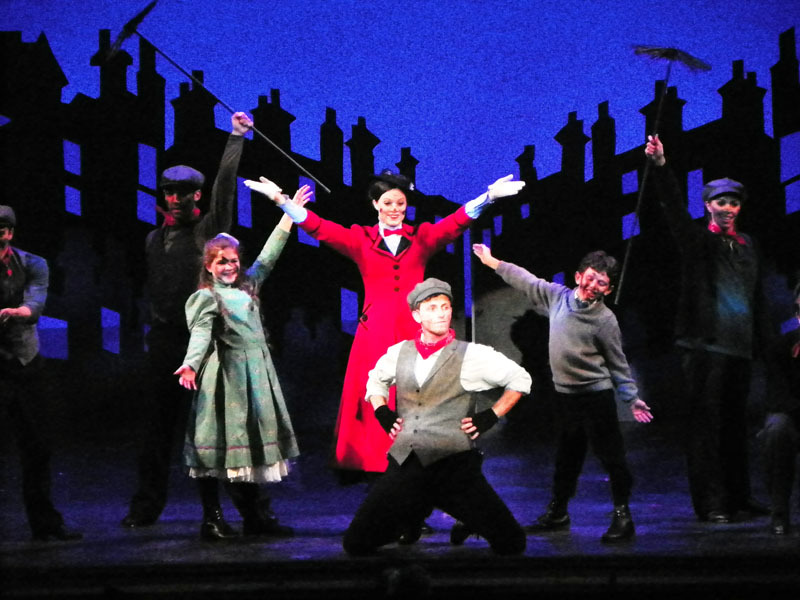 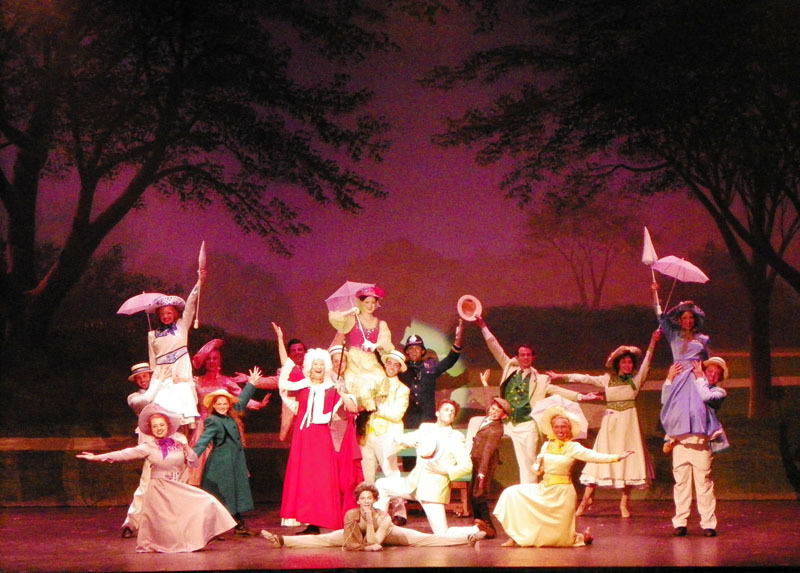 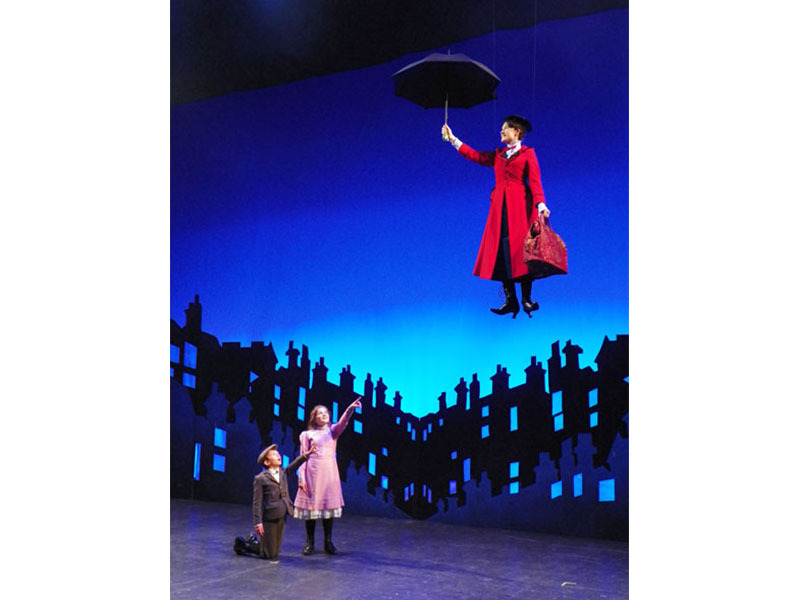 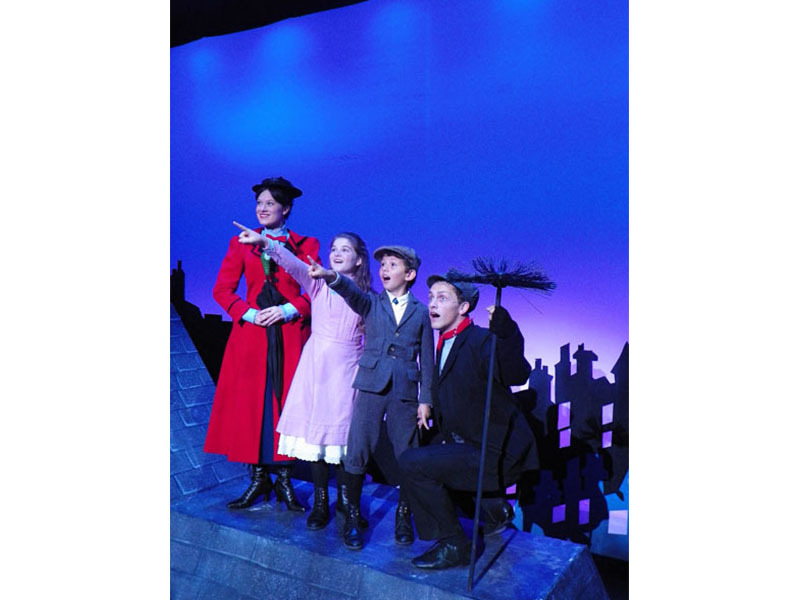 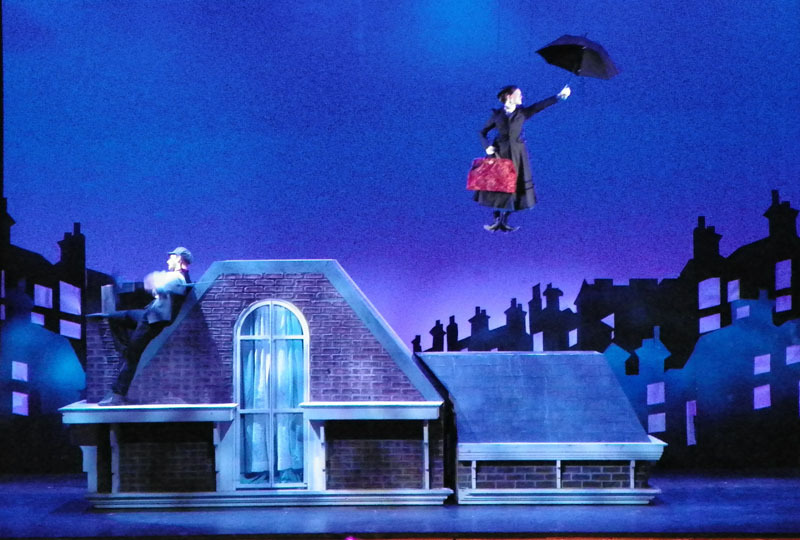 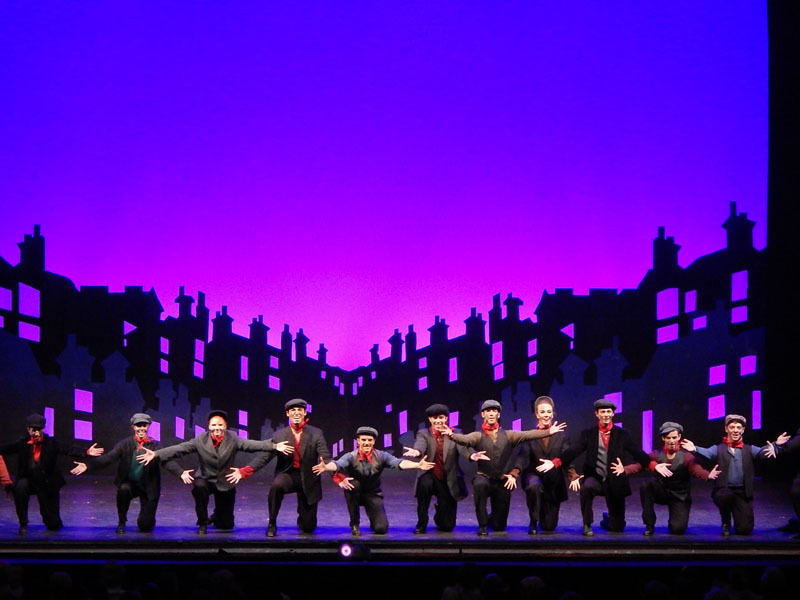 Mary Poppins is a musical with music and lyrics by the Academy Award-winning Sherman Brothers (with additional music and lyrics by George Stiles and Anthony Drewe) and a script by Julian Fellowes. 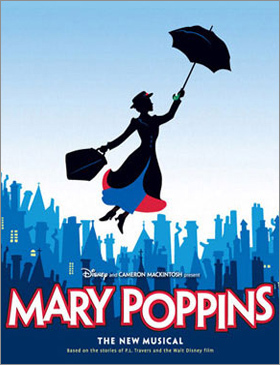 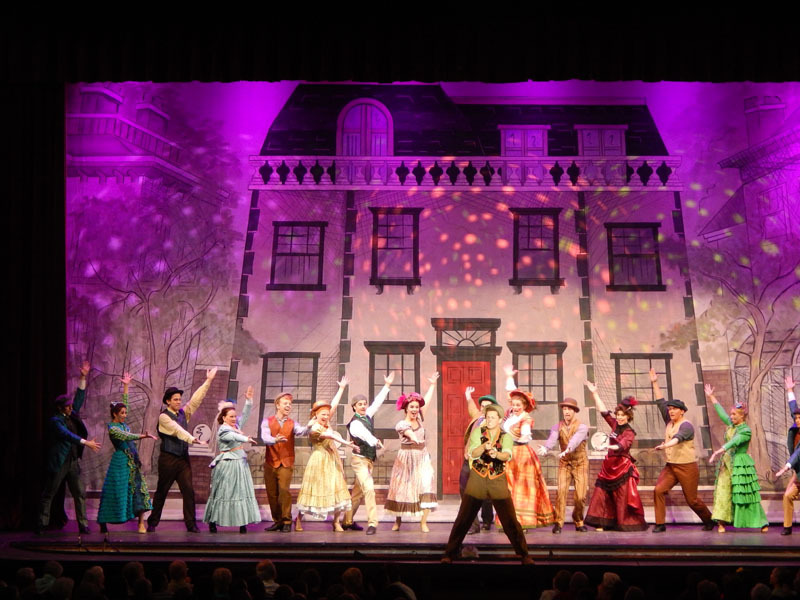 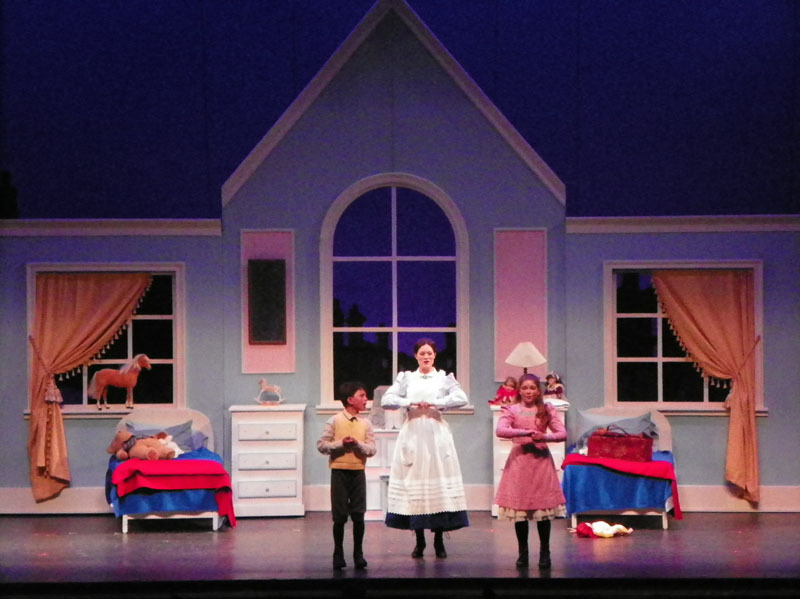 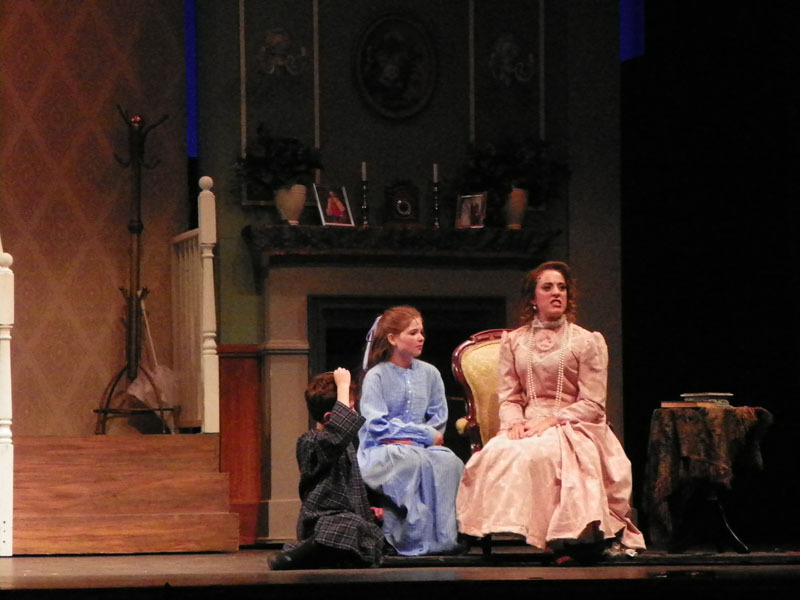 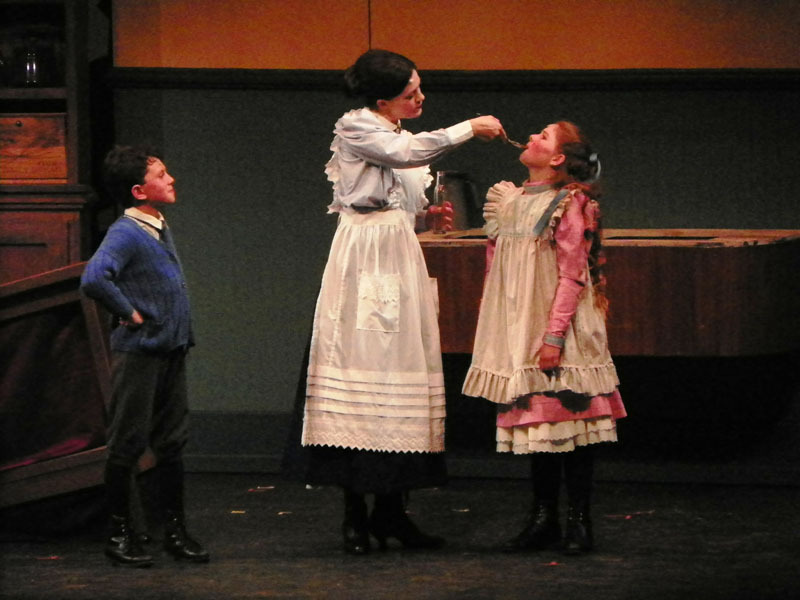 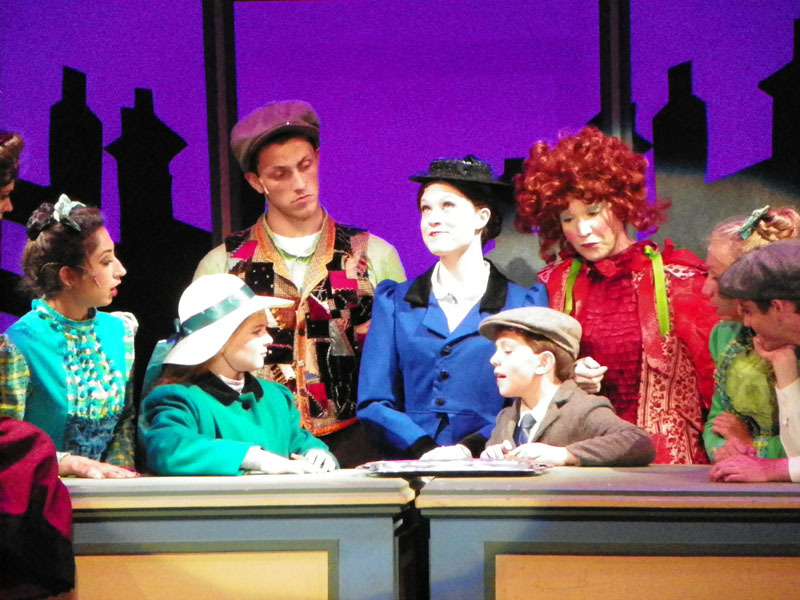 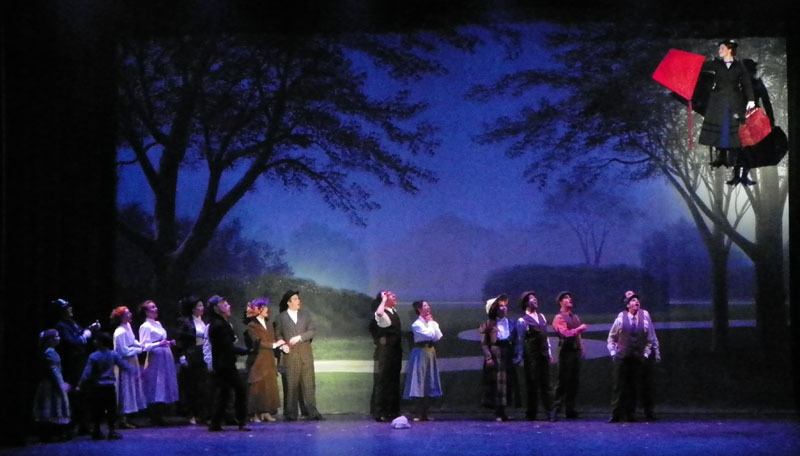 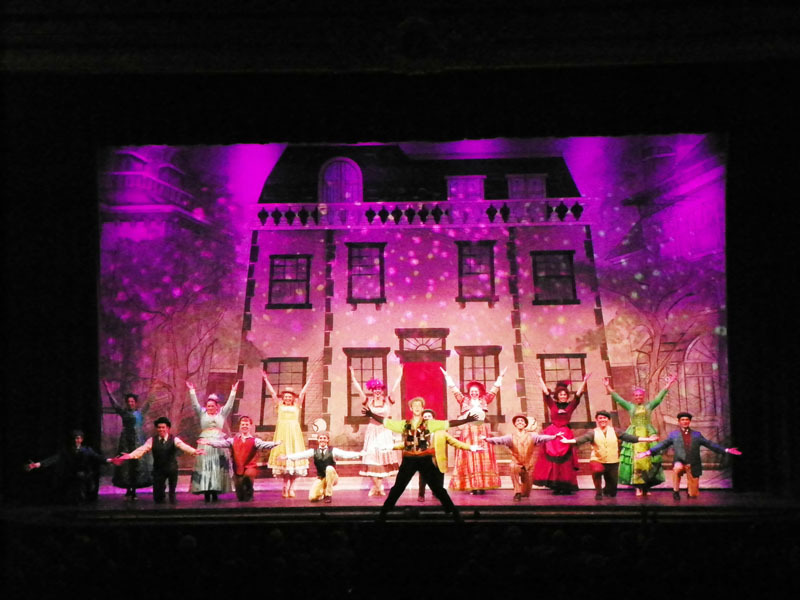 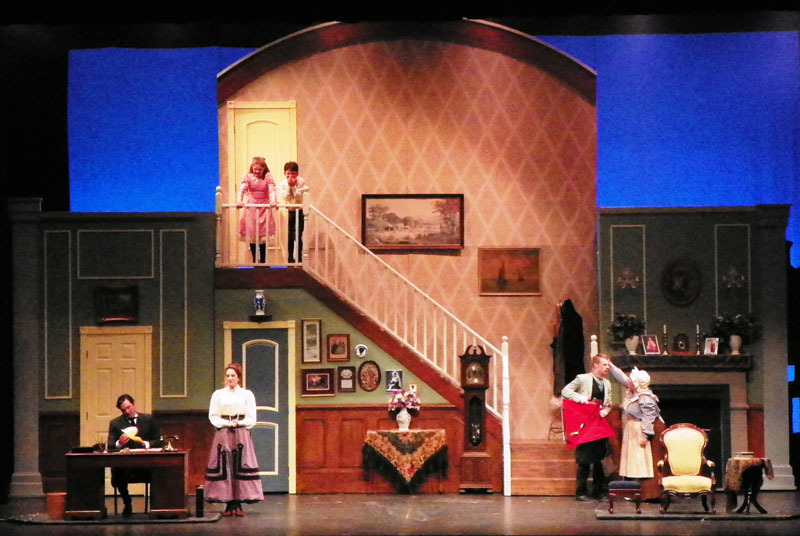 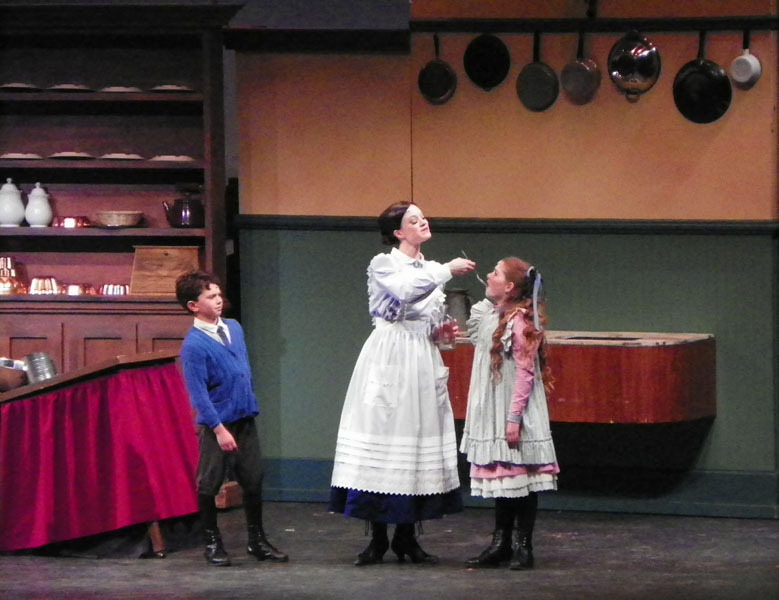 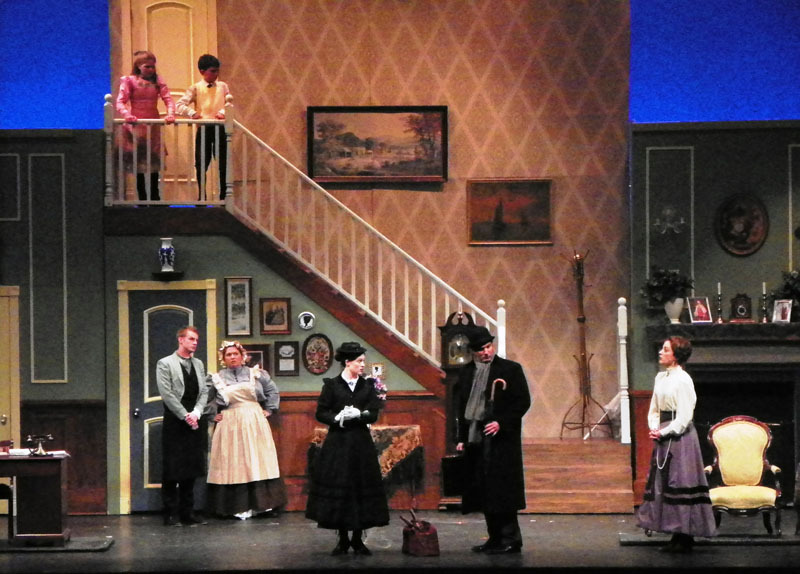 The musical is based on the similarly titled series of children’s books by P. L. Travers and the 1964 Disney film, and is a fusion of various elements from the two. 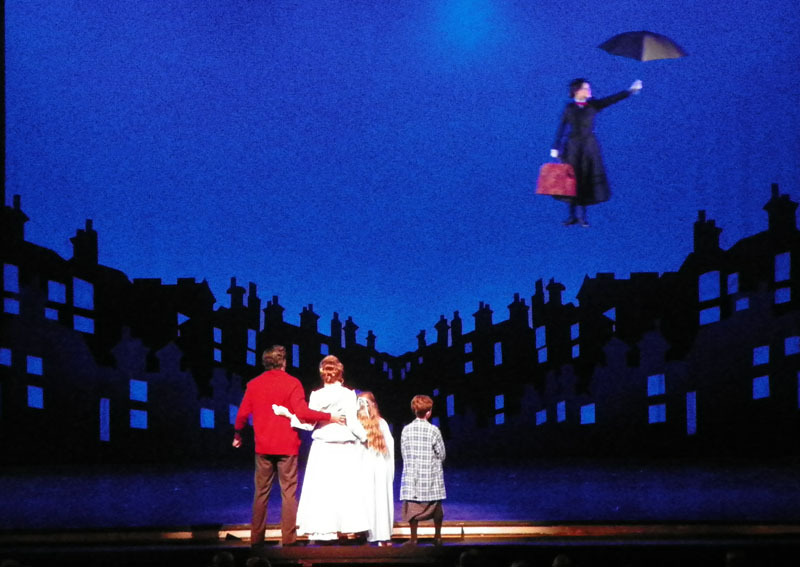 Some elements from the books that had been omitted from the film were restored, such as the walking statue and the ladders rising to the stars. 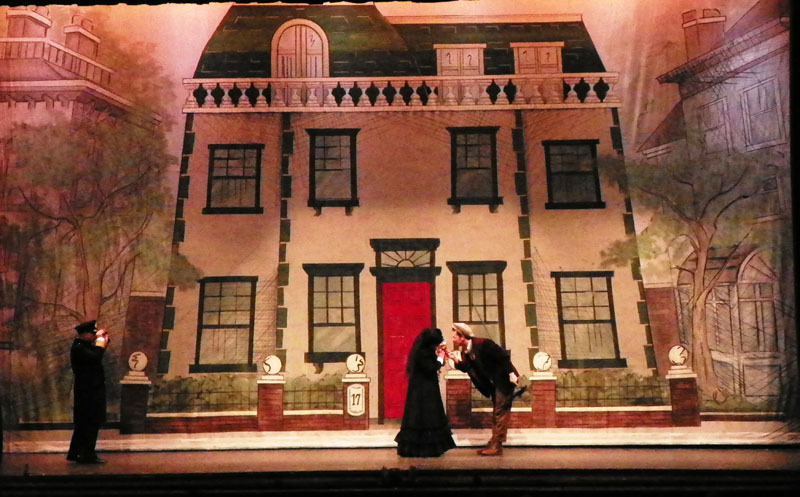 Others were removed, such as the scene in which Uncle Albert gets caught on the ceiling, laughing. 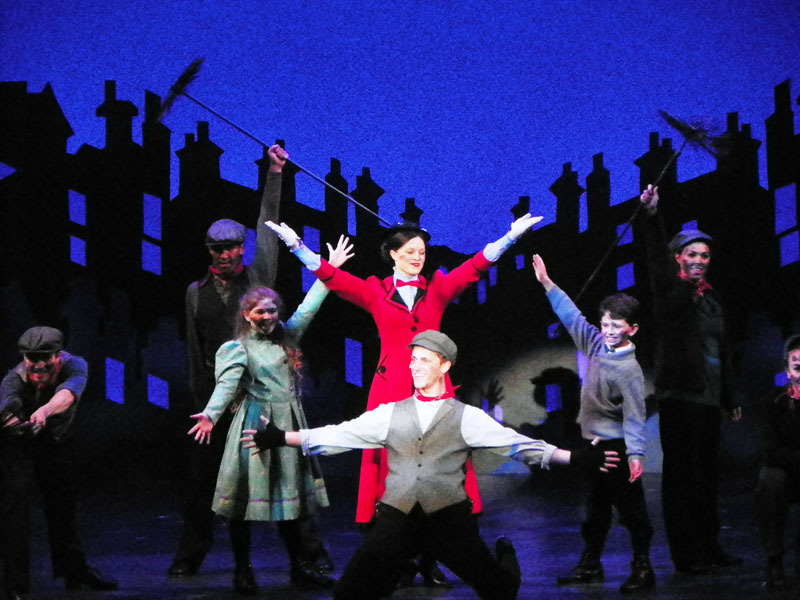 Produced by Walt Disney Theatrical and directed by Richard Eyre with co-direction from Matthew Bourne who also acted as co-choreographer with Stephen Mear, the original West End production opened in December 2004 and received two Olivier Awards, one for Best Actress in a Musical and the other for Best Theatre Choreography. 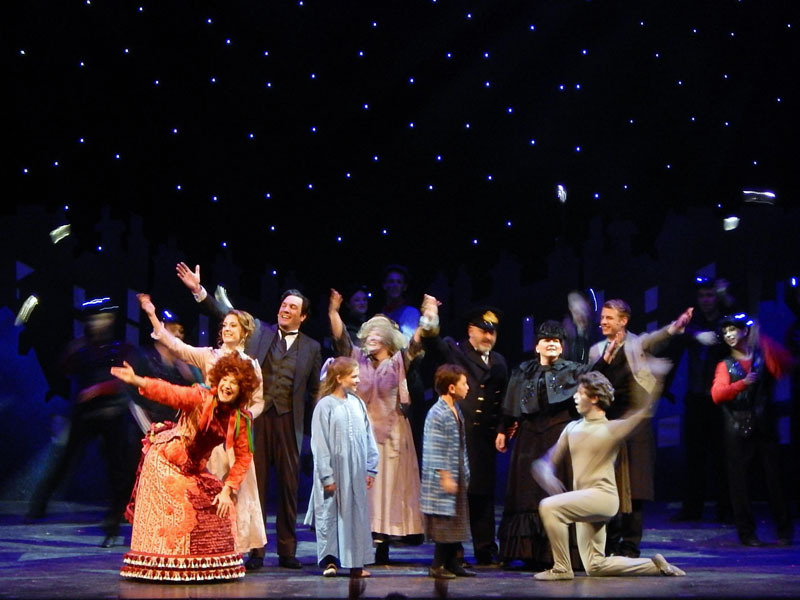 A Broadway production with a near-identical creative team opened in November 2006, with only minor changes from the West End version. 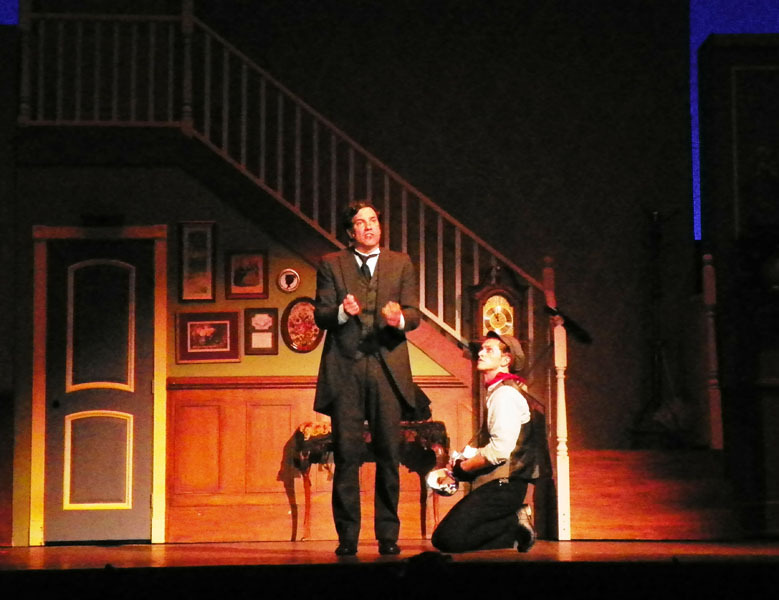 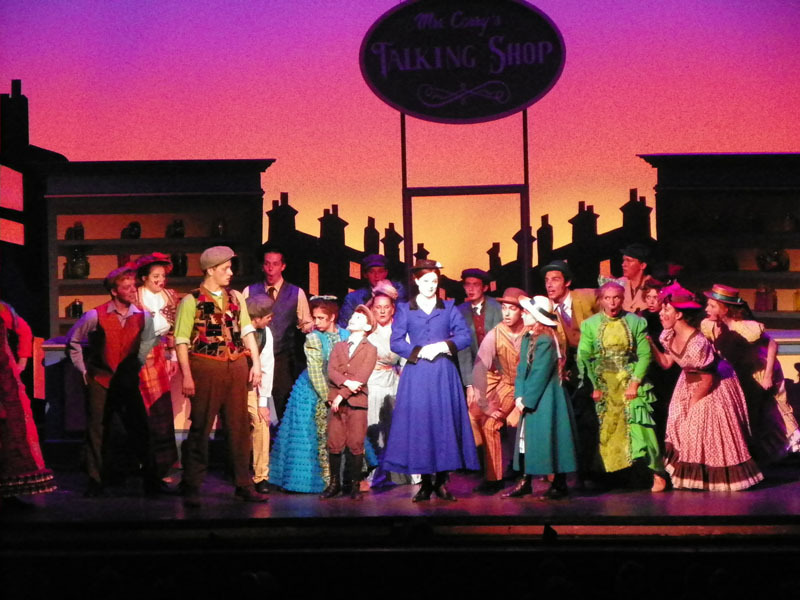 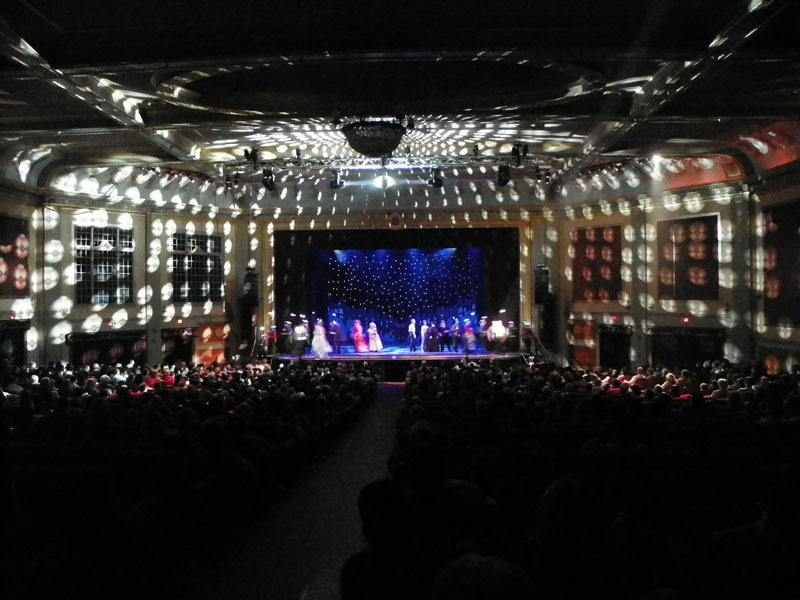 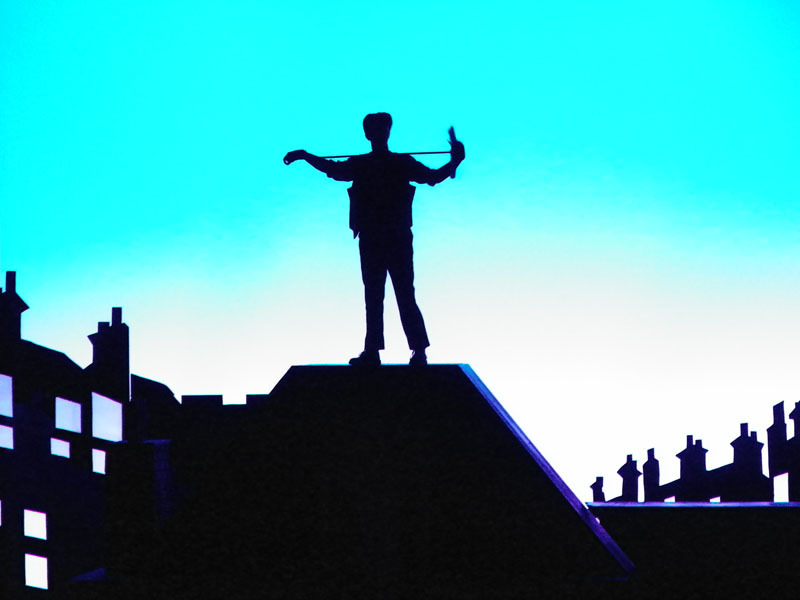 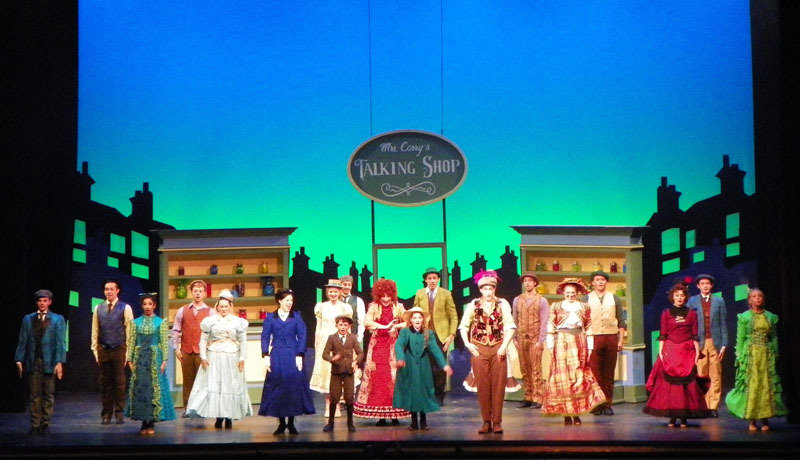 It received seven Tony Award nominations, including Best Musical, winning for Best Scenic Design.